The replica 1961 Ferrari 250 GT California from the movie Ferris Bueller's Day Off, the Fifteen-Millionth Ford (a 1927 Ford Model T), the 1984 Plymouth Voyager Minivan, the 1968 Ford Mustang Fastback from the movie Bullitt, and the 1918 Cadillac Type 57 will all be featured as part of the Historic Vehicle Association's (HVA) fourth annual Cars at the Capital exhibition during the month of April. They are, respectively, the 22nd, 23rd, 24th, 21st, and 4th vehicles to have been added to the National Historic Vehicle Register in recognition of their significance in American automotive history. The exhibition and documentation are part of the HVA's partnership with the U.S. Department of the Interior, Historic American Engineering Record (HAER) and Library of Congress archives. 1985 Modena Spyder – Ferris Bueller's Day Off "Ferrari"
"These cars are some of the most important automotive and cultural examples that reflect the early days of our American automotive history as well the role automobiles have played in film history," said Mark Gessler, President of the Historic Vehicle Association. "They all tell a uniquely American story and reflect the broad impact the automobile has had on our culture." 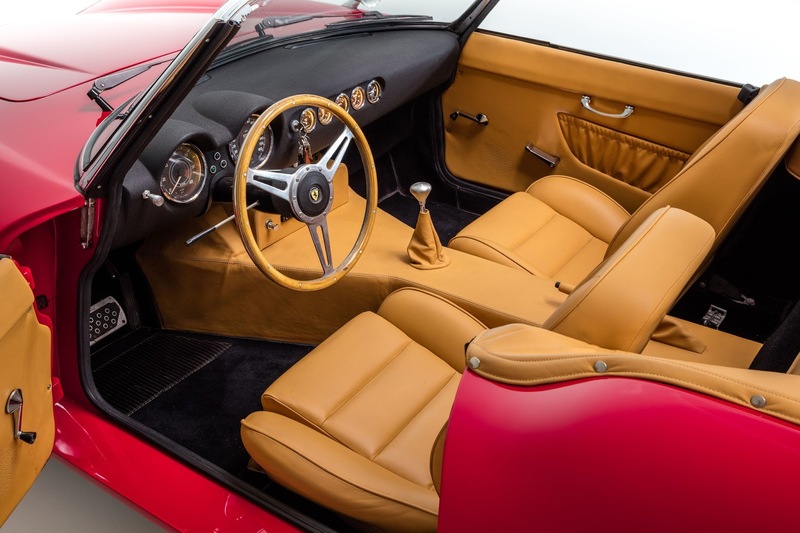 One of the most memorable cars from the 1980s, the Ferris Bueller "Ferrari" has captivated Gen Xers and Millennials since it rolled out of Cameron's dad's midcentury modern garage in 1986. 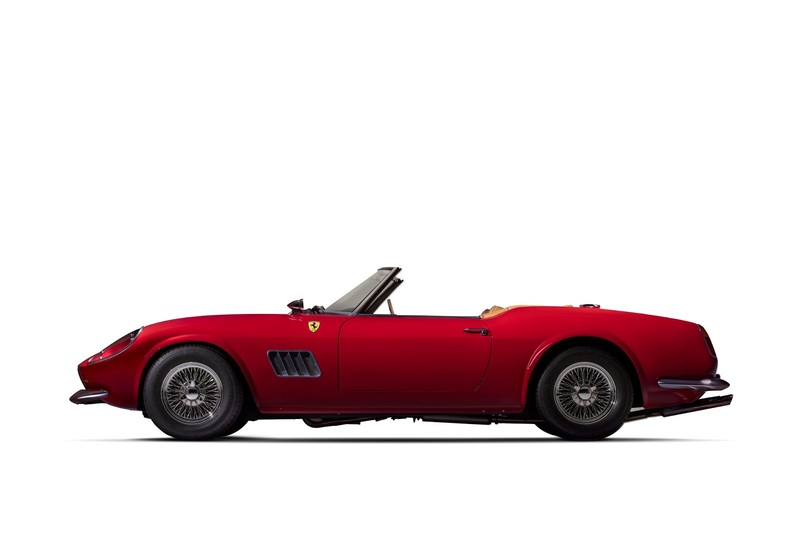 Neil Glassmoyer and Mark Goyette of Modena Design and Development modeled the car off of a 1961 Ferrari 250 GT California and were called upon personally by director John Hughes to build this car and two others for the movie. 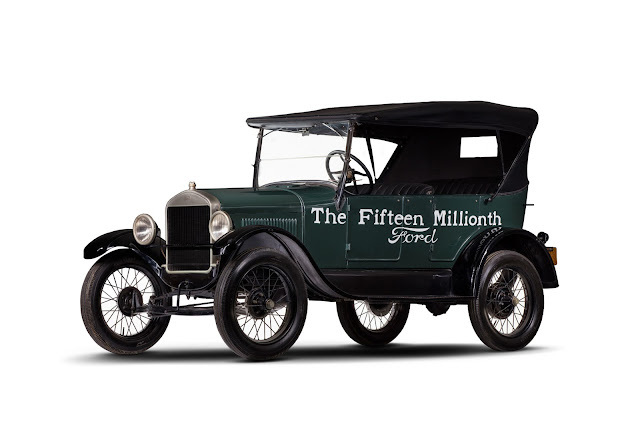 The impact of the Ford Model T on American history is undisputed. This touring car, with hand stamped VIN 15000000, marked the end of "Tin Lizzy's" almost 19-year production run that totaled over 15 million Fords. On May 26, 1927, Edsel and Henry Ford drove it out of the Highland Park Plant to commemorate the end of Model T production. It wasn't until 1972 that the Model T's production figure was bested by the Volkswagen Beetle. The "Highland Green" Mustang piloted by legendary car enthusiast and actor Steve McQueen through the streets of San Francisco in the visceral cops-and-mobsters flick Bullitt has become an indelible part of international car culture. 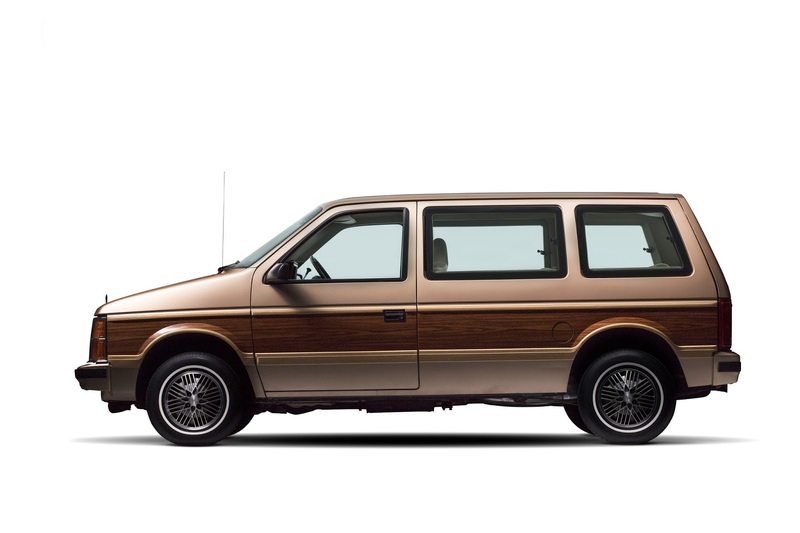 By the 1980s though, the car was thought to have vanished. It wasn't until 2018 that the car was finally shown to the world again by the Kiernan family, who have owned it since 1974. Featuring rich patina from a life well lived, the big block Mustang is unrestored and retains many of its modifications from filming for the movie. Before the Jeep became the standardized and ubiquitous military vehicle, the United States military tried a little of everything. 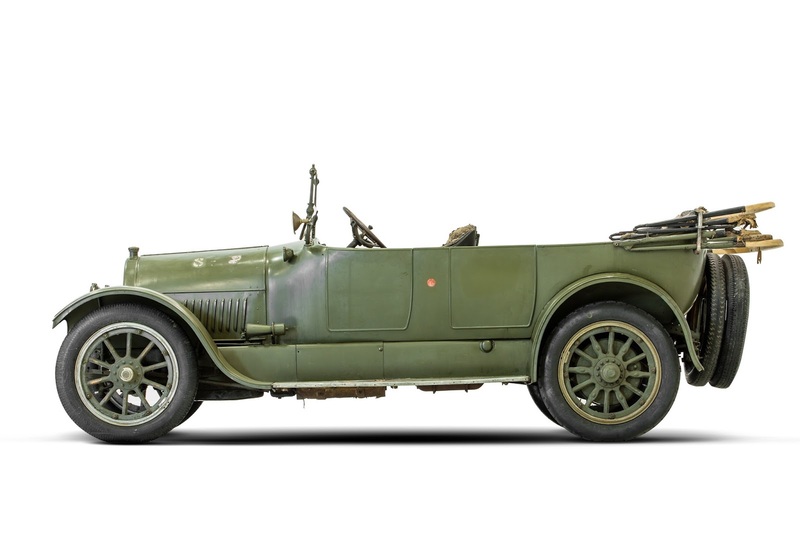 WWI saw an interesting mishmash of cars on the battlefield, but it was the Cadillac Type 57 that was predominantly favored by officers. This example, carrying the military designation U.S. 1257X, is the only known survivor and remains in remarkable unrestored condition. It was brought to France and placed in the service of the American Expeditionary Forces by a Y.M.C.A volunteer, Rev. Dr. J. H. Denison and was driven throughout France to set up leave areas. One of its many passengers was Eleanor Roosevelt, President Theodore Roosevelt's daughter-in-law, who was charged with leading women serving the war effort with the Y.M.C.A. The HVA is producing a feature-length documentary about the '559 "Bullitt" Mustang to be released later in 2018. 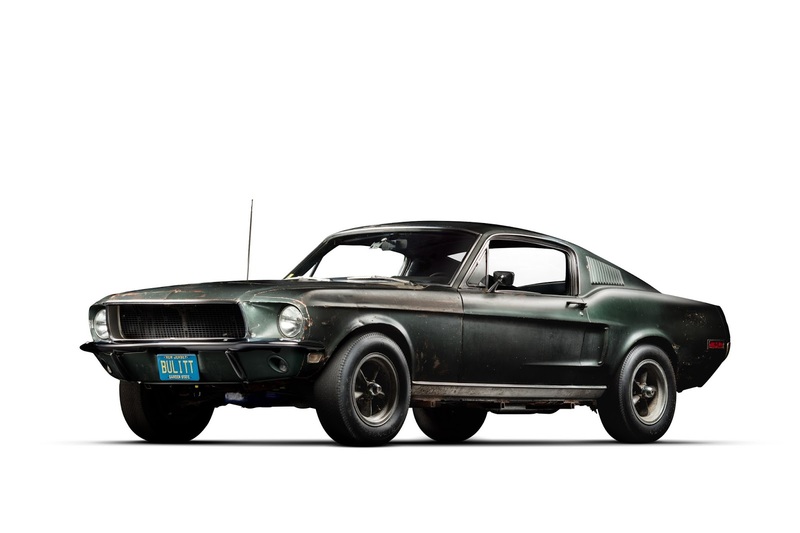 The film will feature exclusive interviews with the Kiernan family, as well as many other people connected with "Bullitt," in a definitive telling of the beloved car's entire mysterious life. A national tour of the '559 "Bullitt" Mustang is also being organized by the HVA, with dates and locations to be announced in the near future. The HVA is dedicated to preserving and sharing America's automotive heritage. In 2014, the HVA established the National Historic Vehicle Register in partnership with the U.S. Department of the Interior, Heritage Documentation Programs and Library of Congress to document historically significant automobiles in America's past. The HVA is supported by over 400,000 individual historic vehicle owners, key stakeholders, corporations and benefactors. Please visit: historicvehicle.org.